Currently, the station’s research includes row crop and vegetable/ornamental horticulture research. A centerpiece of the station is the Magnolia Botanical Gardens which serves as a demonstration and educational resource for green industry professionals and consumers. Row-crop research is comprehensive and includes the MAFES Official Variety Trials in cotton. The station’s current major agronomic row-crop research efforts include the evaluation of early season corn hybrid and Maturity Group III, IV, and V soybean varieties for yield and late season diseases; tillage radishes as a cover crop; and the evaluation and development of conservation tillage systems and crop residue management for corn and soybeans that minimize soil disturbance, enhance yield, improve soil quality, and reduce production costs. The station hosts a bi-annual field day to showcase row-crop research, in addition to other events aimed at educating homeowners, producers, and landowners. 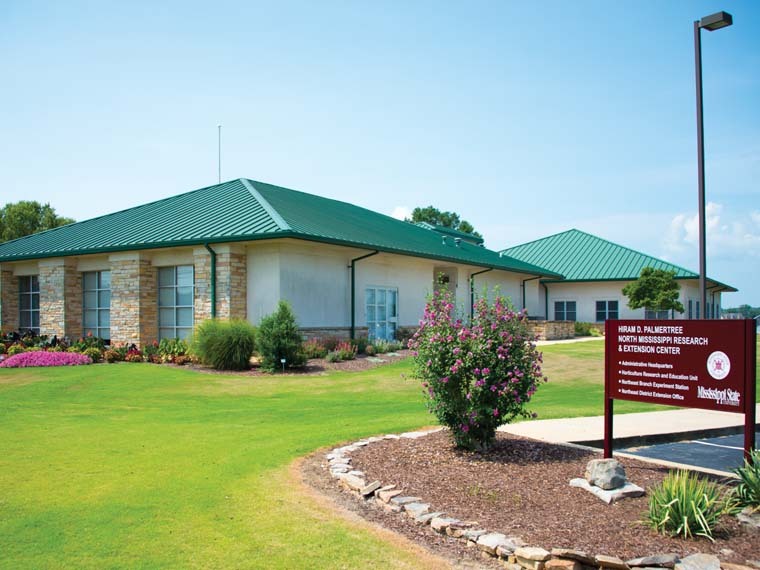 A virtual tour of the station is available at mafes.msstate.edu/branches/north.asp?location=northeast. Find out more about vegetable crop physiology and production systems research at www.vegetable.mafes.msstate.edu.